Adventurer. The term has long been synonymous with cutthroat, murderer, savage, zealot, and heathen. And Lenk, an errant young man with only a sword and a decidedly unpleasant voice in his head, counts all five among his best and only associates. Loathed by society and spurned by all merciful gods, he and his band are recruited for only the vilest of jobs. Sam Sykes is the author of the acclaimed The Aeons' Gate series, a vast and sprawling story of adventure, demons, madness and carnage. He lives in Arizona with two hounds in a small, drab apartment and has eaten at least one of every animal on earth. You can visit his website at www.samsykes.com. "Holy freaking bottle rockets, people! This book ROCKS!" "Sam Sykes does blood and noise in the liveliest tradition of contemporary fantasy, with all the brash vigor of youth, and with a sly, penetrating sensitivity all his own. Not many writers can give you fireworks and subtlety at the same time like he can." "If you like your fantasy dark and twisted . . . 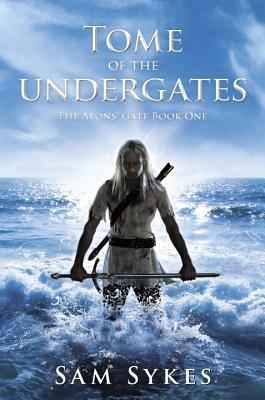 The Aeons' Gate is a series tailor-made for you." "Recommend[ed] for people who enjoy fantasy with some dark humor, violence, and chaos." "I do not wish Sam Sykes dead." "Epic, crude, dark, silly, scary, violent, and surprisingly tender."